Are you in the market to purchase a new pair of men’s dress shoes? Do you feel like you have enough dress shoes to choose from for a variety of outfits? People often tend to overlook what they are wearing on their feet, but this is a huge mistake. Your shoes show where you are coming from and where you are going. If you are not wearing the proper attire, it is going to showcase you in a negative way and you will find you are not moving forward professionally. 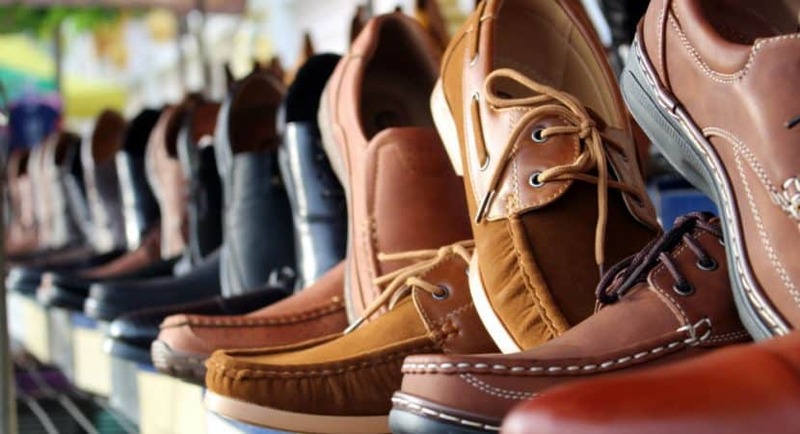 In order to know what type of dress shoe to buy, you first have to understand the differences between the main types of dress shoes and when it is appropriate to wear which type. It is our goal to help you on your journey to finding the best pair of dress shoes for you and your needs today. The main topic we will be discussing today is the old debate about which is better: wearing dress shoes or loafers when it comes to professional attire. Now the funny thing about this debate is that loafers are actually a type of dress shoe. So rather than it be dress shoes vs. loafers, it should be typical types of dress shoes vs. dress shoe loafers. In order to know what makes them similar and different, let’s dive into the idea behind both and see which ones you should purchase. The most common type of dress shoe that is normally purchased is the Oxford dress shoe. This is the one most men have, as it is known to be classy and casual at the same time. They are very versatile, able to be matched up with various types of work and formal wear, but they can also be worn for casual outings as well. These shoes are, in fact, named after the historic Oxford University, and they became very popular around 1800 at that school, and eventually went on to become famous worldwide. What separates this shoe is that they have been stitched under the vamp. This means that they have closed lacing. This allows the shoe to feel quite slim, as it is a very minimalistic type of shoe. They come in a variety of colors, and you can buy many Oxford shoes in either leather or suede. If you want to wear them to work, we recommend either getting them in black, dark brown, or an English tan color. Dress shoes are known to be perfect to go with a suit, or just a dress shirt, or a blazer, and a pair of slacks, and are great for both social and professional settings. Most of the time, dress shoes have laces that you can do up according to your comfortable tightness. This is what makes dress shoes seem even more professional and why we believe that they are the most appropriate to wear. So now for the loafers. What is a loafer and is it really a dress shoe? These were created around 1926 for King George VI. He asked for an expansion of his shoe collection, and he wanted somethings still dressy enough that he could wear in the outdoors. He wanted them to be easy to wear, comfortable and stylish. Thus, loafers were created. These shoes have no set of laces, and you can easily slip them on whenever you want. The moccasin is sort of the “mother” of the loafer, and they range in style from very casual to very dapper, depending on the look you are going for. As for variety within the loafer family, there is the penny loafer, the Belgian loafer, the tassel loafer, and the Gucci loafer, all men’s slip on shoes with a wide range of features and different designs. They are all very stylish but also have a casual edge to them. Which is better to get—the typical dress shoe or the loafer? We recommend having BOTH! We know that sounds like a cop out, but it’s true. They are both very classy and stylish for a variety of different occasions. The loafer is much easier to put on and is great for a casual dining experience or out on a date. The Oxford is usually identified as de rigueur for professional office wear, but loafers are now commonly found in this setting as well.